Which Holiday Foods May Be Harmful to Your Pets? The holiday season seems to be defined by meals. We fill our homes with the scents and tastes of the delicious holiday dinners we grew up eating with our friends and family. That’s what the holidays are all about, for many of us—making new memories over a table spread with things we’re thankful for. It’s very common for our dogs and cats to also find those smells mouth-watering, but unfortunately, it’s best to deny our animal friends a place at the holiday table. Many of our favorite holiday treats can be harmful or even fatal to our beloved dogs and cats. That’s why it’s best to keep your pets eating their pet food over the holiday season, even if you’re indulging in special meals. While it may seem like a festive treat for your dog or cat to sneak them something under the table, too often little bites like that can cause a panicked call to your veterinarian in the greater Philadelphia area. The reason for this is simple: human foods are for humans, and pet foods are for pets. While your cats and dogs have a gastrointestinal system capable of eating certain human foods and digesting them properly—especially dogs—many foods that are fine or even healthful for humans can be a big problem. And while pet owners tend to slip their dog or cat a nibble of something or other throughout the year to no bad effect, holiday foods are often some of the most toxic to our animal companions. Sure, a bite of turkey or ham isn’t the worst thing for your dog or cat, but oftentimes holiday centerpiece meats are dressed with toxic seasonings or gravies. Garlic is poisonous to dogs and cats, as are onions, leeks, shallots, chives, and scallions. And anyway, fatty leftovers can cause health problems for your pets down the line. These include pancreatitis, a condition that may necessitate seeking out a specialty veterinary healthcare hospital. And bones from your holiday bird can puncture your pets’ internal organs or cause them to choke. But the main course isn’t the only time your pet may be at risk this holiday season. Dessert can also be a danger. 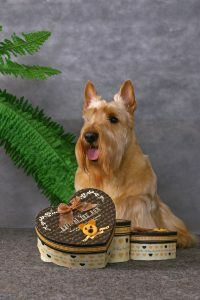 Chocolate is disastrous for dogs to consume, for example, and coffee and tea contain caffeine, which is also not good for animals. Even fruit isn’t great to leave out, as grapes are toxic to dogs. It’s also crucial to keep an eye on the wrappers for your Ferrero Rocher or chocolate Santas (as well as the foil from your honey baked ham). Swallowed wrappers can cause your pet to choke, or worse, an intestinal blockage later on. Every dog owner knows it’s tough to keep canine companions out of the trash even when it’s not full of delicious smells, but around the holiday it’s a good idea to invest in a garbage can with a lid, and make sure it’s secured. VRC is a specialty veterinary healthcare hospital. Our emergency medicine and critical care center is open even on Thanksgiving and Christmas. If you suspect your pet has eaten something off your holiday table, give us a call. The sooner you act, the better.